Turkey is positioned to become the twenty-first century's first Muslim power. Based on a dynamic economy and energetic foreign policy, Turkey's growing engagement with other countries has made it a key player in the newly emerging multidirectional world order. 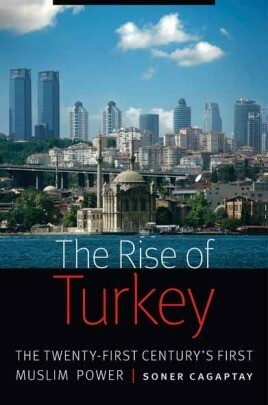 • An engaging look at Turkey's rising position in the Muslim world, promoting stability and economic progress whilst maintaining good relations with the U.S. and Europe. Turkey is positioned to become the twenty-first century's first Muslim power. Based on a dynamic economy and energetic foreign policy, Turkey's growing engagement with other countries has made it a key player in the newly emerging multidirectional world order. Turkey's trade patterns and societal interaction with other nations have broadened and deepened dramatically in the past decade, transforming Turkey from a Cold War outpost into a significant player internationally. Turkey's ascendance and the changes that have taken place under the leadership of Turkey's Muslim conservative government have prompted its policymakers to craft a new vision of their role in twenty-first-century society. This developing worldview animates Turkey's desire to sometimes take the lead with its co-religionists and occasionally challenge its partners in the West, while showing no inclination to become an irresponsible rising power. If it can consolidate liberal democracy at home, Turkey could also assume the role of serving as an example for the newly emerging governments brought about by the Arab Spring. The cornerstone of Turkey's rise has been the government's ability to foster stable political conditions for economic growth, alongside a foreign policy that balances Turkey's Muslim identity with its Western overlay, including its strong ties to the United States. Accordingly, policies that could tarnish Turkey's reputation as a bastion of stability risk undermining its position between Europe, the United States, and the Middle East. This realization has been the catalyst for Ankara's careful management of Eastern and Western desires and expectations. The result is a new Turkey: a twenty-first-century Muslim power that promotes stability without the confines of a regional, European rubric.